Beth Kirby and Michael Preston have been sent by their boss to Savannah, Georgia for the agency’s latest case. Beth has begun to respect Michael now that they have spent some time together and she can see he is willing to work hard to learn the skills necessary to be a private investigator. They are sent to see if their client, Evelyn Doyle, has an adulterous husband. Evelyn suspects her husband of forty years is having an affair. 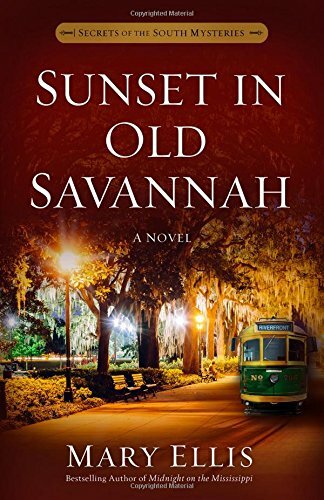 Beth and Michael are given time to sight see while in Savannah as well as track down Evelyn’s spouse’s movements. They quickly discover that Lamar Doyle is having an affair with a woman young enough to be his daughter. When they inform their client, they do not get the reaction they were expecting. Evelyn is upset, but she decides to forgive her husband as Christ has forgiven her of her sins. Beth is a fairly new Christian and has some trouble understanding this reaction, but the case is solved and they have some free time to enjoy the city…until a dead body is discovered. Michael has feelings for Beth that are more than friendship, but he knows she is gun shy so he has kept quiet. He would rather spend the rest of his life with Beth as his friend that not have her in his life at all, which might happen if he reveals his feelings. Meanwhile, the more time they spend working the murder case together and sightseeing together, the more Beth realizes what a great guy Michael is, but she is nervous to speak up as she thinks she is no good at relationships. Then, another body is found. I really enjoyed seeing the personal relationship between Michael and Beth develop. Beth had a great sense of humor, which I liked, and Michael seems like such a sweetheart! The mystery story was a little slow in some parts, but I liked the faith focus of Evelyn especially. Beth’s impetuous nature gets her in trouble, but she has a compassionate heart that leads her sometimes instead of her head. Michael is much more by the book and thinking things through. These two make for a good investigative team as their skills complement each other. So, get a copy and read about some of the sights of Savannah as well as a good mystery with some added romance!